By LUDWIG VON KOOPA - A forced fusion of ideas featuring Travis Touchdown. You know, it took over one whole year since Travis Strikes Again: No More Heroes was announced, but I think we — and Suda51 — finally understand what the game actually is. Travis Strikes Again takes place years after No More Heroes 2: Desperate Struggle ends, and Badman — Bad Girl's father (and she's notable for having her theme song, Pleather for Breakfast, have over one million views on YouTube despite the entire No More Heroes franchise selling a small fraction of that) — breaks into Travis's house as he's playing his indie-filled game console, the Death Drive Mark 2. Badman is mad because Travis killed his daughter a long time ago in the first No More Heroes, and Travis is (presumably?) done with the whole assassination business. They get sucked into the console and have to play through a collection of his games, which are based on indie titles. These have different kinds of gameplay objectives depending on the game, but at least some seem to have Travis with his beam katana in an overhead perspective. 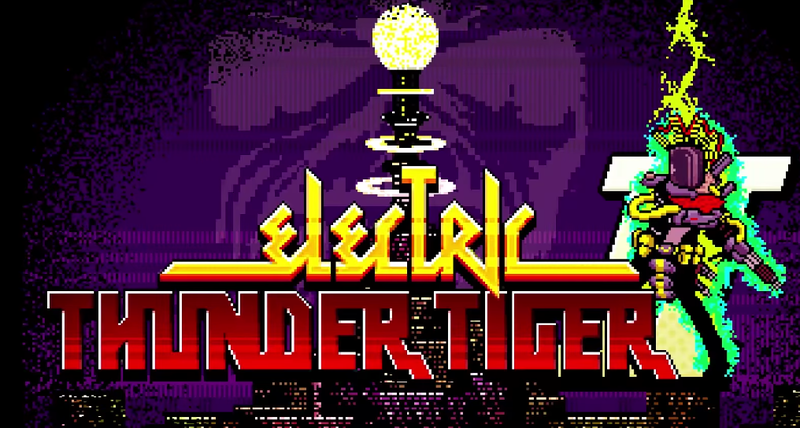 One of the fake indie games is named “Electric Thunder Tiger”, which could be fun? While the game is quite different in approach than previous games with Travis Touchdown, Suda51 insists, “There's tons of other things inside the game that will make you not worry...” Putting the game's features in terms of us not worrying (a negative) isn't the most inspiring perspective. If the game is going to be around the indie game aesthetic, then what Travis Strikes Again must do to be successful is to parody and make a commentary on those indie games, like the first No More Heroes did for open-world games. If Suda51 decides to only treat indie games with respect and reverence and not with levity and absurdity, then it will not only be a sorely needed missed opportunity within the industry, but it also will abandon what No More Heroes stands for. As-is, a lot of games with budgets don't “punch-down” to indie titles, so a lot of the stuff we should be making fun of hasn't been excoriated yet. Suda51 can do that and do it well and I'd love it. I don't want this game to just be a compilation of old Suda51 ideas that weren't good enough to become a product release, like the Nintendo Labo software being repurposed tech demos, but featuring Travis. He deserves better than that. ...On the other hand, whatever gets Travis Touchdown in Super Smash Bros. is fine with me. HOLD IT! ...I wrote this article at the end of March, and now this Destructoid article with news from talking to Suda51 at PAX East is talking about an adventure mode based in the real world with different storylines depending on if you play as Travis or Badman? With assistance from whomever Masashi Ooka (possibly spelled Masahi — this is so confusing the guy doesn't even have a consistent name) is in writing it? And then a staffer of Suda51's claims they didn't even know this is a thing? And the game is only 30% completed despite releasing this year? Well, guess that means that we don't understand this game after all. Couldn't even stick to the same story for two weeks, Suda. Ludwig was going to write about this a whole year ago, but every time Suda51 talked about what Travis Touchdown was going to do on the Nintendo Switch he gave a totally different answer. Ludwig preferred to wait until Suda51 was providing consistent statements on what Travis Strikes Again: No More Heroes is before writing on it, since he didn't know what the game even was. ...Though with the last paragraph added to this article, everything fell apart again. TYPICAL. Suda51 delayed the game to 2019... and some assumptions made in this article were wrong. Ludwig ended up buying the game, despite still not knowing what the heck it's about. "Putting the game's features in terms of us not worrying (a negative) isn't the most inspiring perspective." So it sounds like this adventure game is going to tie everything together? Is this the visual novel-style adventure game we saw, or something else? With the Silver Case collaborator working on it, I think so, but they should really clarify that. Once you've conceded that there is a reason to worry, you're losing the public relations battle! Gotta stay positive. I think your parenthetical personal thoughts are the most likely explanation. It turns out that the visual novel-style dialogue is just how they do all the dialogue in the game? Yeah, that... for all I know, that could be a level-specific thing, too. ...Then the only expectation we have is to expect the unexpected. Anyway, what are your thoughts on Travis Touchdown appearing in Super Smash Bros.? Suda, you could at least try to call Sakurai or something. At least Travis is the playable character, still.